THE COMMUTE: The second in a series of Vision Zero Town Hall meetings was held in the Brooklyn Borough Hall courtroom earlier this month. Several hundred attended the standing room only meeting. If you did not know any better, you would have gotten the impression that half the borough’s population was either struck by a hit and run driver or had a relative who was killed by one, according to testimony from the speakers. I am not trying to minimize the problem of pedestrian fatalities, but the solutions proposed by the panel leave a lot to be desired. Supposedly the town hall meeting was called in order to solicit opinions and solutions. But was it? During the two-and-a-half-hour meeting, chaired by new Brooklyn Borough President Eric Adams and various City Council members, only about 45 minutes was allotted to hear views from the public. Much of the time was devoted to gaining sympathy from the audience for the casualties resulting from past crashes. The Vision Zero Plan was described in the context of “this is what should and will be done,” in other words, ‘We need red light and speed cameras all over to catch offenders.’ ‘A 30 MPH city speed limit is way too high.’ ‘Everyone must drive more slowly.’ ‘The speed limit on every street needs to be 20 MPH and we need slow zones, speed bumps and pedestrian islands all over.’ So in which specific locations do we need to install these measures? Well, if you have all the solutions and are just looking for a list of problem intersections, you are really not seeking new ideas, are you? So why was this even considered a town hall meeting? Each public speaker was only allowed one minute to express his or her views. (Even the MTA allows three minutes each at their hearings, which is still barely enough time.) In a true town hall meeting, there would have been, at most, a five-minute introduction of the panel and a 15-minute presentation. The remaining two hours would have been devoted to hearing suggestions from the public. The panel would not speak for one and three quarter hours and the audience would not have been stacked with the victims of hit and runs and their relatives. That was no accident, since Transportation Alternatives was an active member of the panel. Why was a representative from the AAA not invited to express the opinions of motorists, or should I just say murderers or child killers? Well, if you have all the solutions and just need a few specifics to implement your plan, you are not really seeking new ideas. You are asking for support of a plan designed with the help of Transportation Alternatives. A “town hall meeting” was only held to give the illusion that the public provided input. Luckily for us, the city would need approval from Albany before instituting a 20 MPH citywide speed limit since the city does not presently have “home rule,” which provides some checks and balances. If we did have home rule, there would be no limit on your real estate taxes, parking and other fines. The city would be able to raise those whenever they wanted to. Parking tickets would be a minimum of $100 with other fines being much higher. Is that what you really want? The city would be able to purchase as many speed cameras as they like and place them on every single corner if they had home rule. Those who do not drive think that would be great. Let us make sure that no cars are able to travel faster than a bicycle, so bike riders can laugh as they pass all the cars. Some speakers made sensible suggestions, such as better marking the street pavement and not allowing striping to wear out, which the Department of Transportation (DOT) blamed on the harsh winter. In fact, lane markings on many streets have not been renewed in 30 years. Yours truly suggested that appropriate charges be brought against those who kill pedestrians, and requiring drivers to pass a written test upon license renewal. Many motorists have not looked at a driver’s manual for upward of 30 or 40 years. Some sensible measures are included as part of Vision Zero, such as redesigning problem intersections and better lighting. There were also a few who criticized DOT for making changes, such as installing pedestrian islands that later had to be removed because the solutions did not achieve the desired results. Instead, they created new problems because a previous administration acted without community consultation. I previously wrote that a 20 MPH speed limit was an hysterical reaction to a serious problem. Last year’s proposal was changed by the City Council to 25 MPH and some streets were to be exempted. Due to some confusion as to the definition of the word “street,” it was not clear which streets were to be exempted, which might have made the plan workable. However, it was clear from the organizers of this town hall meeting that city leaders want a 20 MPH speed limit on every single local and arterial street. Has everyone gone crazy? Does anyone realize the far reaching implications of such a plan? Do non-drivers even know how fast 20 MPH is? It is like standing still on a street with little vehicular or pedestrian traffic. Would anyone even abide by such a speed limit? Will it even reduce the number of crashes? Or will it just greatly increase travel time not only for cars, but also for buses and trucks? Are buses not already traveling too slow and is that why we need Select Bus Service? What will happen to the price of goods if it costs more to deliver them because trucks can drive no faster than 20 MPH or an average of only 10 MPH? If buses have to travel slower, you will need more of them to provide the same level of service, and that means higher fares. In Brooklyn, the only real highways are the Belt Parkway / BQE combination, which is often jammed. Imagine yourself never driving faster than 20 MPH on any street. Try it and see how it feels and ask yourself how long it would take for you to get anywhere? Being caught by a speed camera for driving at 26 MPH will cost you a $100 or $150 fine. How many summonses could you afford to receive each week once we get the requested 160 speed cameras? Once the city sees how much revenue these cameras will raise, in a few years there will be 500 more cameras (if permitted by Albany) and they will not be limited to school zones but will be placed wherever they are likely to generate the most revenue, such as on major arterials and eventually on highways. The number of pedestrian fatalities is a real problem and we need real solutions. The goal of Vision Zero is admirable but unattainable unless the entire city was to become a pedestrian mall. 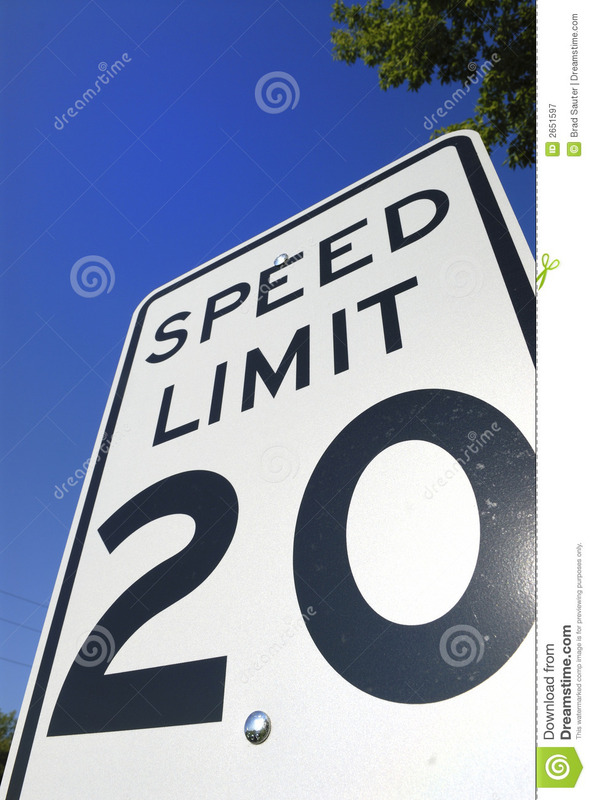 Of course, the speed limit on some streets should only be 20 or 25 MPH, but overly simplistic solutions such as a universal 20 MPH speed limit never worked and never will. Just like a flat income tax rate or a flat $100 fine for every violation would not work either. The only justification for a 20 MPH speed limit is a statistic that the survival rate in the event of a crash is greater than at 30 MPH. So why stop at 20 MPH and not save even more lives with a speed limit of only 10 MPH? 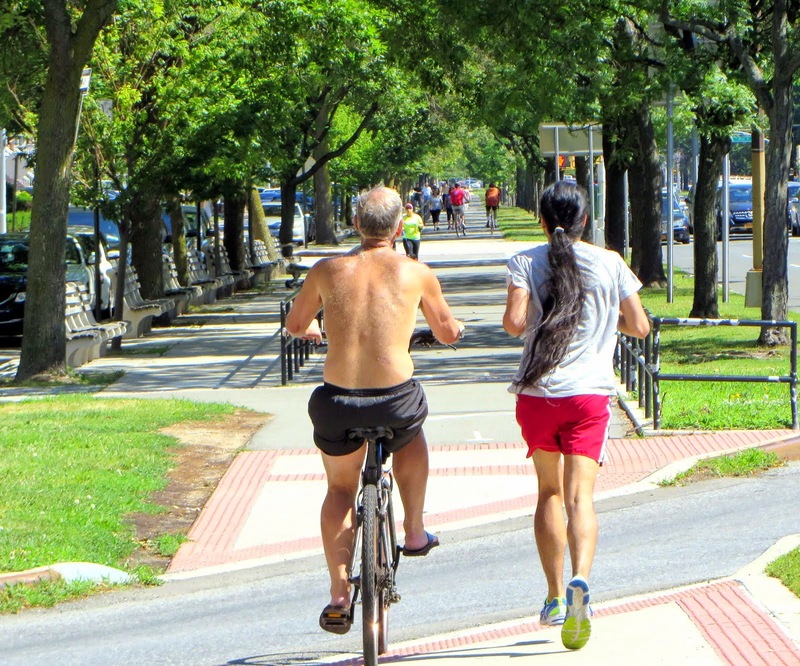 The real threat to safety is posed by unsafe road conditions, by those going 60 MPH on our city streets in a 30 MPH zone, and those who are inattentive for whatever reason (drivers as well as pedestrians and cyclists). No threat is posed by those going 25 MPH. Punish the guilty. Don’t make the innocent suffer. We cannot let a few fanatics dictate city policy. Are our legislators asleep? Wake up New York!